Joplin, Mo. — The Missouri Southern men’s track and field team jumped into the United States Track and Field and Cross Country Coaches Association national poll as the Lions have debuted at No. 10 this week. Southern not only broke into the top-25 for the first time on the season, but the Lions jumped all the way to 10th after coming in at what was a season-high 33rd a week ago. Vincent Kiprop ran an 8:04.04 in the 3,000 meters at the 2nd Annual Indoor Gorilla Classic, coming in at 2nd in Division II. 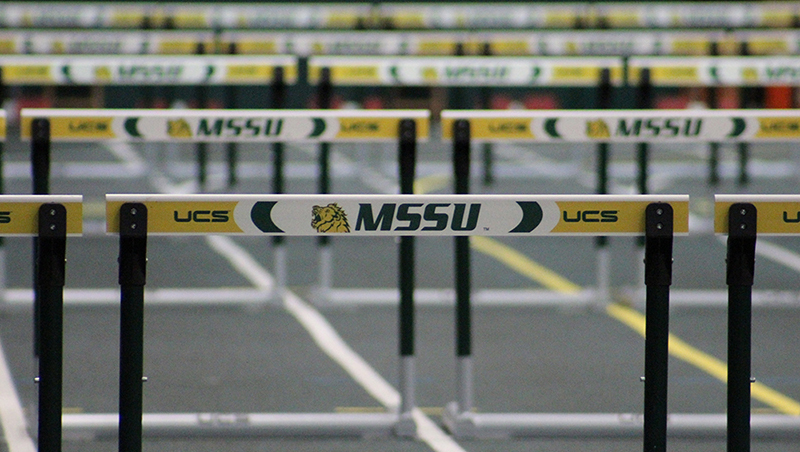 The Lions were outstanding in the field, as Bryan Burns (shot put), Junior Joseph (weight throw) and Morgan Hold (pole vault) all notched top-10 performances in Division II at the MSSU Lion Invitational. Southern is the top team ranked from the MIAA as the league has five teams in the top 25. The Lions will be back in action this weekend as they have split squads at both Nebraska and Central Missouri.